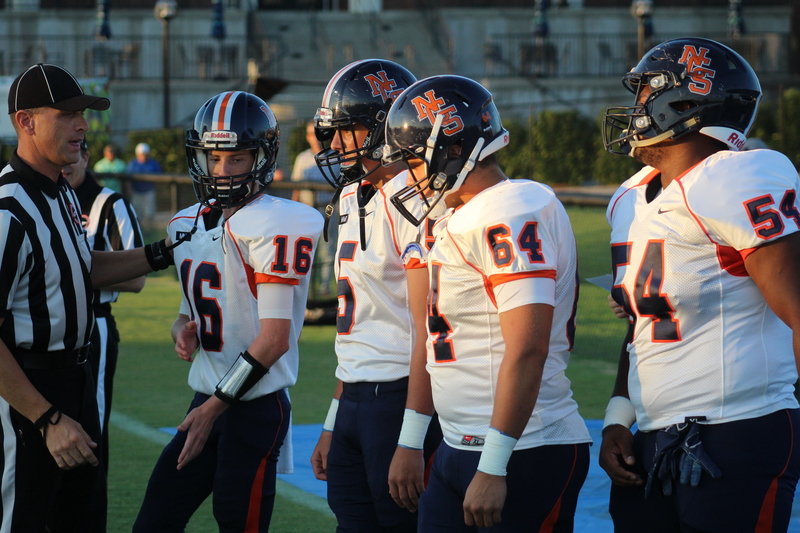 Last week the Eagles traveled to Fayette Academy, seeking their first win. The Eagles started out fast with a quick 10-0 lead at the end of the 1st quarter. At the half the score was 10-7. The Eagles had a good 2nd half as they outscored the Vikings 21-7, and in the end the Eagles got it done 31-14. The players were very excited about the win. Talking about the win (junior) Jesse Parrish said, “It felt good to have our first win, but we still need to practice to be prepared so we can continue to have that feeling throughout the season.” Parrish had 12 tackles—8 solo and a sack. The offense showed up big this game. Senior Chad Kinnard was 7 of 14 with 71 yards and 3 touchdowns. Those three touchdowns were all caught by senior Jesse Watson. Watson had 5 catches for 62 yards and 3 touchdowns. The offense had a total of 289 yards. A big contributor to those yards was star running back Xavier Myers. Myers rushed for 226 yards on 31 carries. Myers averaged 7 yards a carry. Myers is averaging 226 yards a game. The Eagles are once on the road again this Friday, to face Zion Christian. But the next game on Sep. 15 will be at home. Zion Christian are also 1-2—their win coming over Concord Christian in Knoxville and their losses coming from Pickett County and Clarksville Academy. Coming off their win, the Eagles are looking to make it 2 straight. The Eagles have the advantage and the team is looking more settled in and feeling confident.